A lone piece of granite disrupts the flow of rushing water at Columbine Falls. High above the Tahosa Valley and just below Longs Peak, Columbine Falls is one of the more impressive waterfalls in Rocky Mountain National Park. 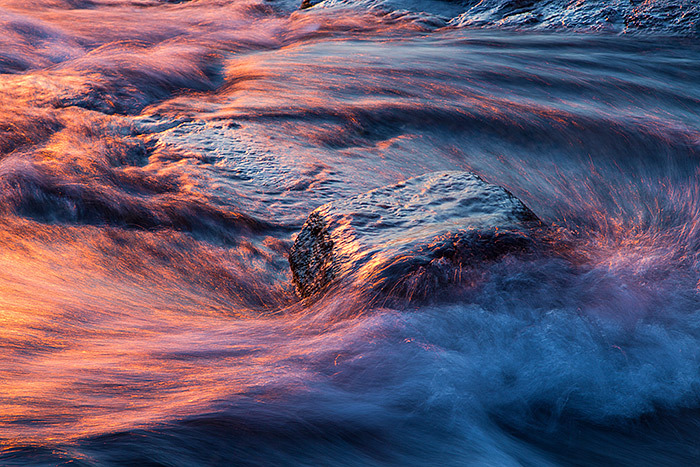 The colors of sunrise against a deep blue Colorado sky paint the waters of Columbine Falls in pink and blue hues. Photo © copyright by Thomas Mangan.